A family saga and a magical self-portrait of a writer who witnessed the birth of a nation and lived through its turbulent history. 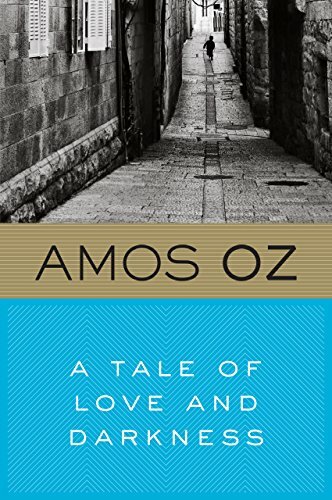 A Tale of Love and Darkness is the story of a boy who grows up in war-torn Jerusalem, in a small apartment crowded with books in twelve languages and relatives speaking nearly as many. The story of an adolescent whose life has been changed forever by his mother’s suicide. The story of a man who leaves the constraints of his family and community to join a kibbutz, change his name, marry, have children. The story of a writer who becomes an active participant in the political life of his nation." A special thank you to book club member, Kayla Reynolds for the suggestion.